Happy Mask Wednesday everyone - I have been eyeing this Laneige Water Bank Soothing Gel Mask for a little while and my skin has been craving a hydrogel mask, so I HAD to buy it! Laneige Water Bank Soothing Gel Mask ~ $9.00 per mask (or 5 for $31.00). A cooling and moisturizing hydrogel sheet mask that adheres perfectly to the skin's contours for intense hydration. I really like some of Laneige other products - especially their lotions and other products from the Water Bank line, so it was natural for me to give more products from this brand a shot! Also, I love hydrogel masks as they adhere well and offer such a different feeling than regular cotton sheet masks! This mask use ingredients like Green Tea to hydrate skin, Chamomile to calm and sooth skin, and Hydro Ionized Mineral Water to protect and hydrate skin with a complex of six, moisture-maximizing minerals (zinc, potassium, sodium, manganese, magnesium, and calcium). This mask is easy to use: wash face, tone skin, apply mask - this comes in 2 pieces so apply 1 piece at a time and smooth on to face, wear for 30 minutes, pat remaining essence in to skin and complete skincare routine. 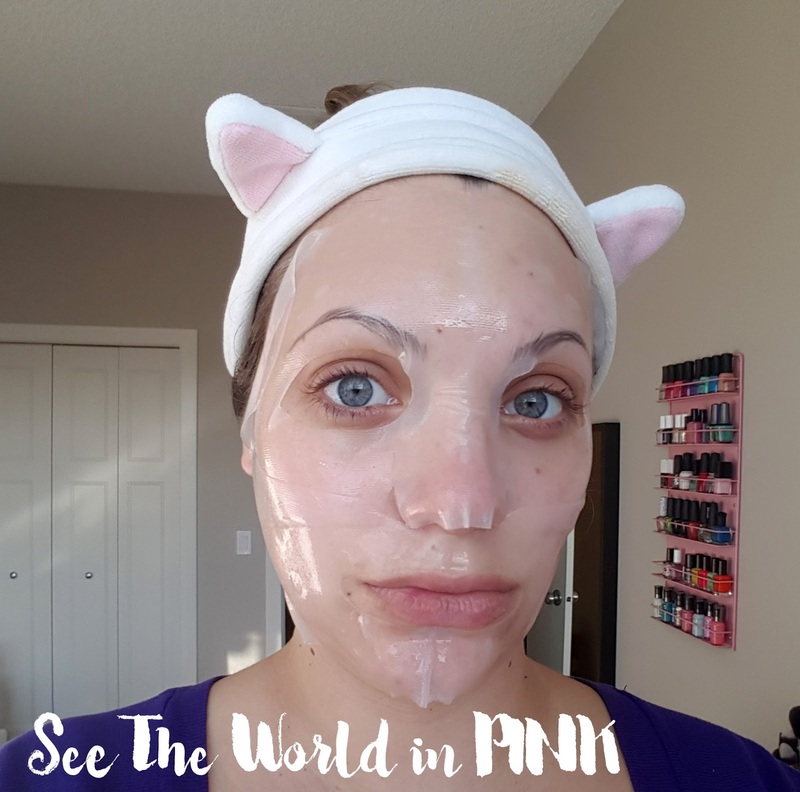 I really liked the fit of this mask - it is a nice thin hydrogel mask that adheres well to the face and stays in place. I like the 2 pieces because you can get a really great fit on your face. This had a decent amount of essence, but after about 10 minutes on my face there was already a few dry places - the mask barely made it the 30 minutes and there wasn't too much essence left over to pat in to my skin. 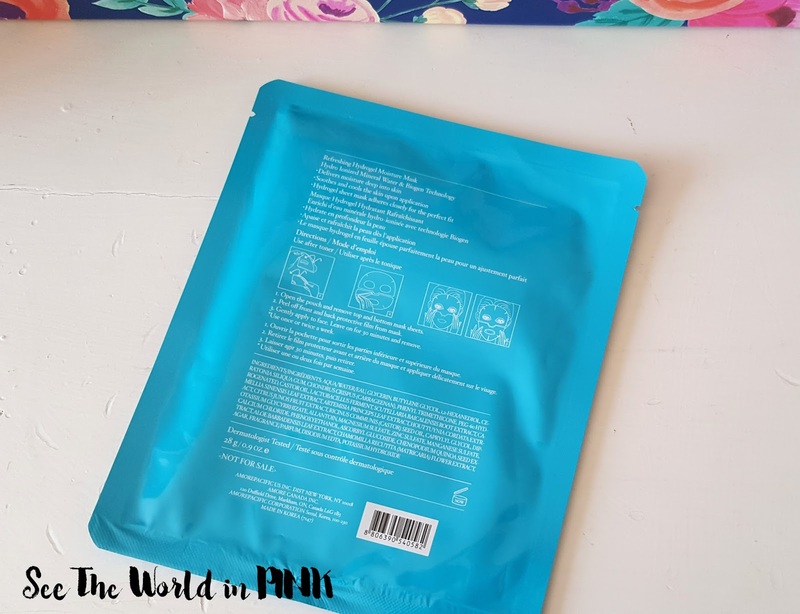 I like hydrogel masks - they are nice and cooling and feel great on the skin. I had a lot of hope in this mask really hydrating my skin, but I was quite disappointed in the results. My skin did not feel very hydrated at all. Now, my skin didn't feel dry - it was nice and soothed, but it just didn't give that ultra-hydrated feeling that it was suggesting for me. Have you tried the Laneige Water Bank Soothing Gel Mask before? What did you think?